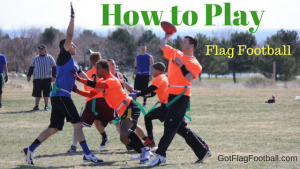 Find the best flag football adult leagues, pickup games and tournaments in the state of Idaho. 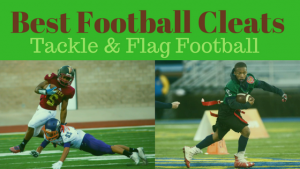 Below you’ll find the top up-to-date for 2019 list of fall, winter, spring and summer, indoor and outdoor local flag football leagues, pickup games and organizations that offer tournaments, organized from the highest to least populated cities and towns in ID. 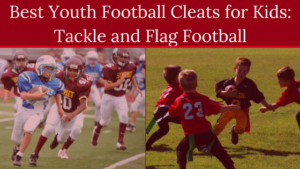 GotFlagFootball.com brings together the recreational and competitive local flag football Idaho community of organized leagues, city recreational leagues and pickups in one list (in alphabetical order), so that it’s easy to find a game near you. 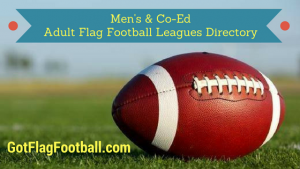 This is a Fall flag football league for men, which has 4 different divisions for players of varying ability. It is an 8v8 league, and the season includes 8 regular season games plus an optional elimination league tournament at the end of the season. Games are played Monday-Friday evenings. Gameday Boise runs co-ed flag football leagues for adults aged 21 and over. It is an 8v8 league, and there must be at least 3 men and 3 women on the field at any time. Games last for two 20 minute halves. This league runs men’s league and co-ed leagues, and is 6v6. Games are played in the Fall, and each team plays at least 8 games in a season, before an elimination tournament is held at the end. Games are played throughout the week in the evening. East Idaho Flag Football League offers leagues for both men and women in the Fall and the Spring. Games are 8v8, and the season runs for 8 weeks plus playoffs. Games are played outdoors, and are available for anyone aged over 16. This is a Men’s Flag Football league offered by the City of Caldwell. This league is offered for adults 18 and over, and is played in the Fall. Two separate divisions are offered, pending numbers, and games are 8v8. The season runs for 8 games, and there is an end of season tournament. Games are played outdoors.